As Brexit moves ahead, we are in an unprecedented situation. The next few years will see our trade rules rewritten and new trade deals negotiated. It’s likely to mean big changes for us. But for millions of farmers and workers from the world’s poorest countries who rely on trading with us, it could be make or break. 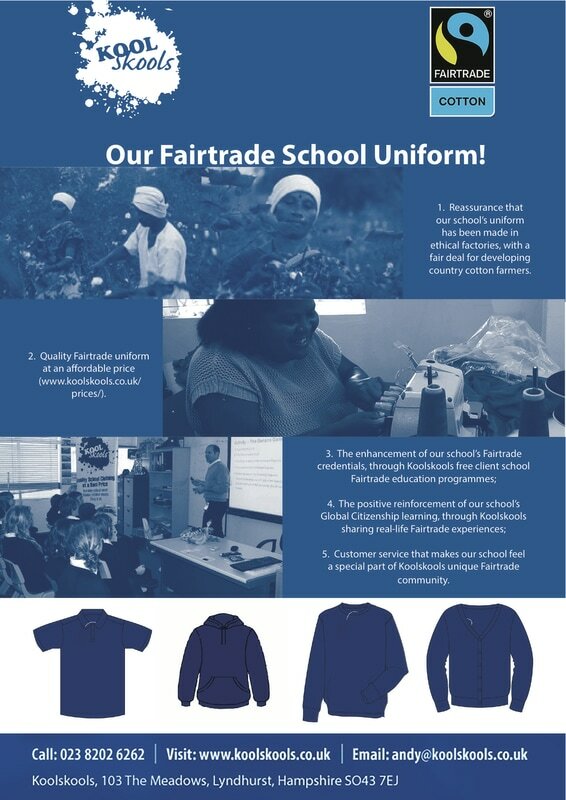 Kirkwall Grammar School joined Traidcraft and other organisations, including Christian Aid, Oxfam, the Trade Justice Movement and Global Justice, to campaign for our post-Brexit trade deals to deliver a fair deal for millions of vulnerable farmers and workers in developing countries. The school wrote a letter aimed at educating our MP on what was at stake and requesting that he write to the International Trade Secretary, Liam Fox, and ask how he will ensure the UK delivers fairer trade. You can read our letter, Liam Fox's reply to Alistair Carmichael, and Alistair Carmichael's reply to us. 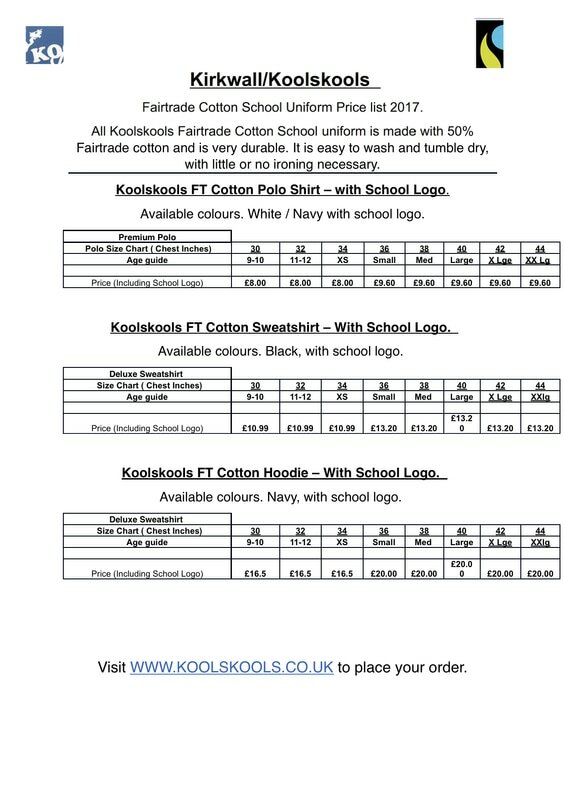 Go to the Kirkwall Grammar School page in the “Buy Fairtrade Uniform” section of the Koolskools website on the following link - https://www.koolskools.co.uk/product-category/kirkwall-grammar-school/ - and place your order. Orders will take a maximum of 10 working days (15 days during the busy June to September period) to turn around, from the date of order placement.